Hello! Welcome to my practice. I'm so glad you're here! As a therapist my goal is to help you uncover your true potential and lead a life that is worth celebrating. While we can't change difficult situations of the past, we can work together to better understand and resolve challenges in your life. By applying complementary therapy approaches and techniques, we will unearth long-standing behavior patterns or negative perceptions that may be holding you back from experiencing a more fulfilling and meaningful life. re:therapy provides a warm, compassionate environment in which to share and move toward increased balance and potential, in a peaceful, comfortable and inviting setting, much like being in your own living room. re:new & re:connect: If your goal is to improve communication within family or personal relationships we will work collaboratively to identify problems & solutions for effective communication. 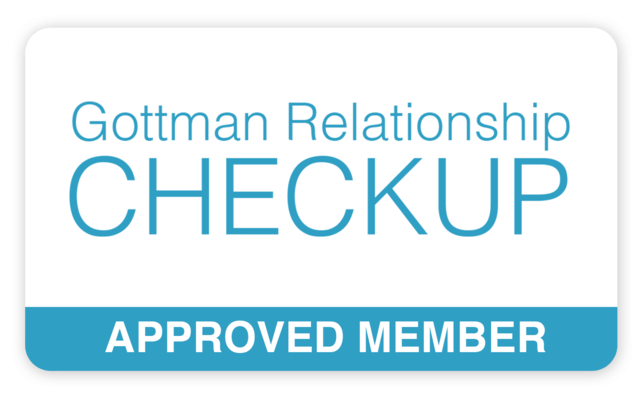 I am Level 2 Trained in Gottman Method Couples Therapy and use Gottman Method Couples Therapy, the most well-researched couples therapy that combines the knowledge and discernment of four decades of research and clinical practice. Through research-based interventions and specific exercises, couples learn how to break through barriers and achieve a greater understanding, connection, and intimacy in their relationships through an emotionally-focused approach that helps couples to discover shared fondness, admiration and meaning. re:create : If life transitions are causing distress, we can work together help realize improved self-awareness, self-motivation and creativity to attain a life of peaceful balance and overall well-being and satisfaction. re:discover your potential: Issues with addiction, dual-diagnosis and codependency: I am experienced and highly skilled in inpatient & outpatient substance abuse and psychiatric settings and will work with you to establish healthy, effective coping skills for achieving and maintaining a meaningful and lasting life of recovery. Through compassionate listening my goal is to build a trusting relationship in a safe space wherein empowerment is attainable. As each individual is unique, I utilize blends of various therapeutic techniques based on your specific intentions. We will begin with an interview to identify goals & expectations to determine next steps. re:focus: "What you put your intention on grows strong in your life" ~ Maharishi Mahesh Yogi. Please call or email me for consultation today. I sincerely look forward to connecting with you!